I was going to be placing an order for another custom smallsword soon and was trying to come up with an exact design for the guard. I was thinking of using a design that omitted the knuckle bow but haven't been able to settle on one that I truly loved based on the pictures in the albums here and on the internet of antiques that I found. I thought I'd open this one up to the community who may be more historically inclined for suggestions and examples on actual antique pieces. Plenty of good pictures of smallswords to be found there. 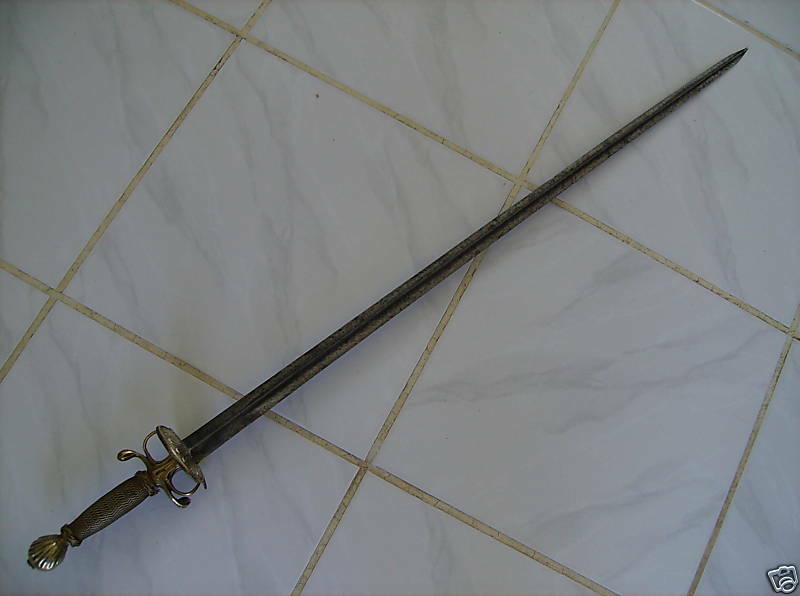 Hey Bryan, I have a great example of a smallsword sans knucklebow that you might like.